Dice pumpkin and boil until tender. Drain and cool. Make dressing with honey, olive oil, salt and pepper. 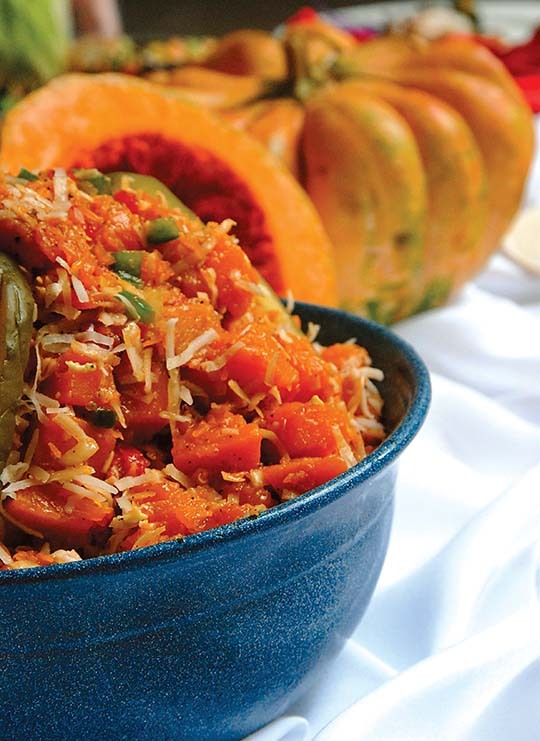 Toss diced pumpkin, raisins and bell peppers with dressing. Sprinkle coconut flakes on top and serve cold.